Successfully Added Car Cleaning Spray Interior care to your Shopping Cart. High Quality Material - Consisting of high quality copper pieces and thick plastic, this car cleaning gun is much durable and super shatter-resistant. Strong Decontamination - The creative high pressure air gun and cleaning agent will easily remove the stain. 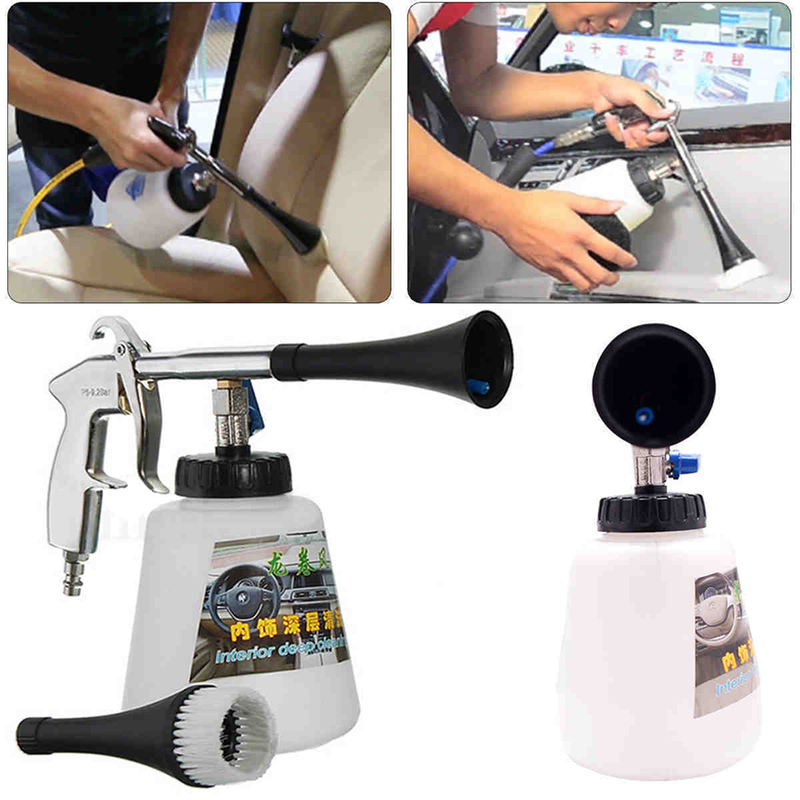 High Efficiency - Conbined with brush and cleaning spray, this air blow gun not only has strong detergency, but also saving time and effort. Easy to Use - With the strong cleaning ageant in it, you just need to spray and rub the stain, easy and convenient.